Today I visited the 11 year wedding anniversary of my good friends Leonie Zeestraten and Joeri de Bruin. Joeri is my former business partner, and co-founder of ProcoliX Managed Hosting. They invited family and friends for a get-together at a very Dutch phenomena called ‘Farmers Camping’. At least I think it is a typically Dutch, I have not really seen it abroad. But I may be missing things. Let me tell you some more about the wonderful world of ‘Farmers Camping’. A ‘Farmers Camping’ also called ‘Mini Camping’ is a small campsite that is closely located to a farm, in this case surrounding a mid-scale diary farm located near the town of Linschoten. The nice thing about these campsites is that it has a high level of social control. Since there are only a few places, mostly for Tents, some times also for caravans or campers, most people will have made contact with the most of other visitors of the camp site after a few days. You get the feeling that you know the people in the tent next to you and across your spot, and if you do something that is not accepted you will be identified almost immediately. This also goes the other way round, since you know that everybody is watching each other there is a stronger feeling of security. In a sense these small campsites give you a feeling of trust. Oh and there is of course the farmer that is also the owner of the campsite, which is, literally, in his back yard. If you go to far, you will be removed by the campsite by the farmer and he will most like not let you come back another time. This mutual trust, relative small size and predictable control are really nice. The Dutch like this kind of control, even though they will not easily admit it. My perception is that these mini campsites give the Dutch this longed for feeling that they are safe. Perhaps that is why there are so many of them in The Netherlands. But of course there is also the economic aspect. 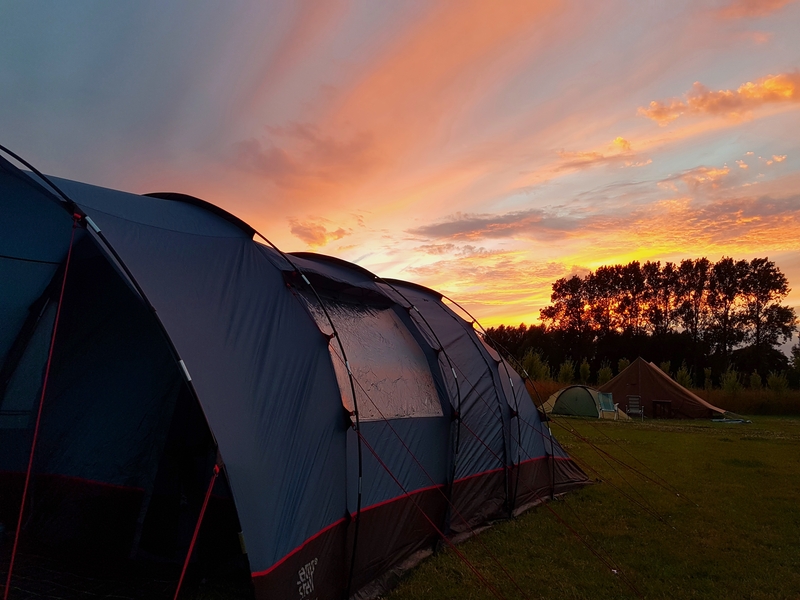 Since the camping site is a form of side-income for the farmer it is possible to keep the prices at the same level, or even lower, than commercially run campsites at scale (you can find these also, hundreds of spots per campsite is no exception). What kind of camping site would you prefer? One where you can complain about a broken toilet or power-outlet directly to the owner, that is often capable of fixing it himself sometimes within minutes, or one where you have to fill out a ‘complaint form’ and wait for a day? Oh an as an added bonus, the farmer at this campsite had no camera’s anywhere. He does not need them. If something happens he will know it immediately and most of the time it will be fixed or dealt with before he know it. That added privacy gives me a wonderful feeling of freedom, I would pick the ‘Farmers Camping’ every time. P.S. I say he, but most of the Farms in the Netherlands are operated by the whole family as a team and they are all equally in charge. P.P.S One of the calves broke loose and I managed to put it back in a box or crate (how do you call such a white calf-house?) and the farmers wife was impressed.